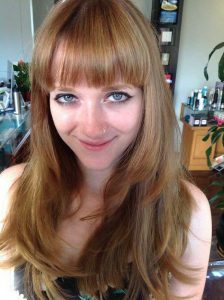 There are so many hair salons in Hollywood and Los Feliz, it is hard to find the perfect spot to return to. When you’re looking for a hair salon, it is important to find a place that will not force a certain look on you or make you opt for an expensive service that will leave you less-than-personalized results. A good hair salon should have stylists that keep up with the latest trends and styles and will work to make sure you get just the cut or style that you will be happy with. You need to be excited about the results you see in the mirror when we are done and will do whatever we can to make that happen for you. Everyone knows how hard it is to find the perfect salon for your hair, and this is particularly true if you have curly hair that needs a particular level of care. Anyone with curly or wavy hair has had a bad experience with salons that have not treated that hairstyle with respect, and have even damaged the hair in an attempt to make it conform to fashion. Reputation carries a lot of weight when you are choosing a new hair salon. Positive reviews in websites like Foursqueare, Manta or Yelp are very useful when you need to make a decision. People on the internet can help you by letting you know where they go and what their experiences have been like so you can see what places may be best for you. While not everything that works for these people may work for you, it will at least give you the names of some businesses to consider going to for service. Art Cardiel is an award-winning and well-respected hairdresser in the Los Angeles area. In an article released by Los Feliz Ledger a few years ago, he’s described as someone who brings ‘artist’s approach to hairstyling”. Their charm lies in the fact that they are a neighborhood place to go to and to feel welcomed as soon as you walk through the door. Even Art’s mother Dee works as the receptionist. Works of Art Hair Salon offers cuts and styles for men and women and take the time to be with each client and make sure you get just the look that you came in for. You can get hair coloring for any event to create the look you want, and they also perform repair work for your hair to help you correct any bad coloring or cut that you may have received elsewhere. Why Choosing Works of Art? Works of Art Hair Salon on Hollywood Boulevard has a positive reputation on review sites like Yelp. They are praised for their friendly service and because they will welcome you to walk-in and introduce yourself and ask for the style that you want. Visit them today or call (323) 667-0072 to make an appointment. Coming to a new area like Los Angeles can seem a bit overwhelming at first, especially when you need to look for new services. Finding the best hairdresser can always seem scary to you as you put your trust and faith into someone to provide you with a look you will be happy with each day. A bad haircut or style can make you hide from the public, while a great one can give you confidence and have you feeling better than ever before. Naturally, you want to find the best places to go for your cuts and styles, and there are certain qualities that you should look for so you can easily identify the best place to go. 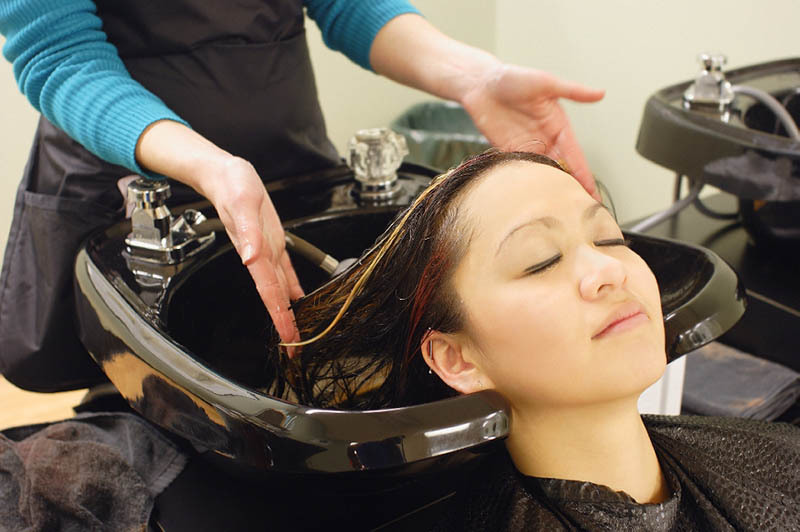 The experience level of the people working at the salons makes a big difference to you and other patrons. While there are certainly new places that have new stylists that can do a good job, reputation is everything in a business like this. A salon that has been around for years will have built a clientele and will have the reputation of offering the best services and results. The experience level helps the stylists understand what looks best and why, and they can guide you to the best choices for your hair. Good salons will have a variety of services that can appeal to you, like coloring, conditioning treatments, styling and more. 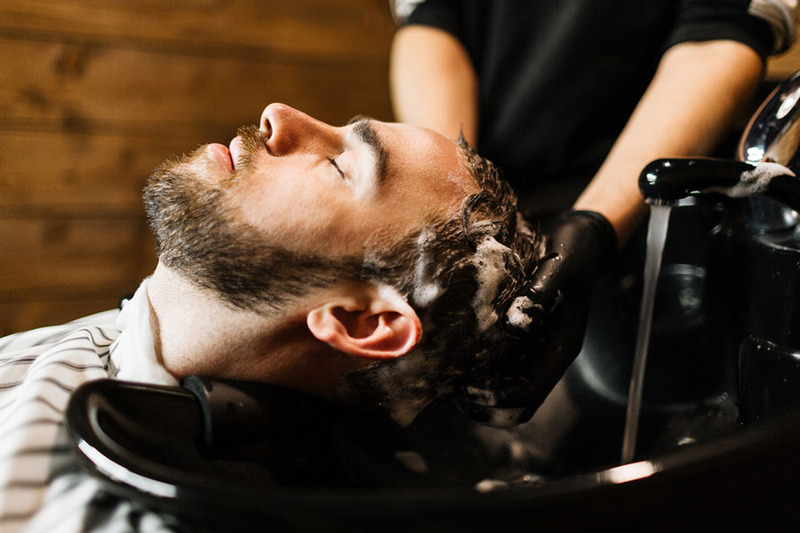 These services can be ideal for you if you want a different look for a special occasion, want to treat yourself to something different with your hair, or just want to come in to get a quality haircut. Of all the hair salons in Hollywood, Works of Art Hair Studio is one of the best reputed. 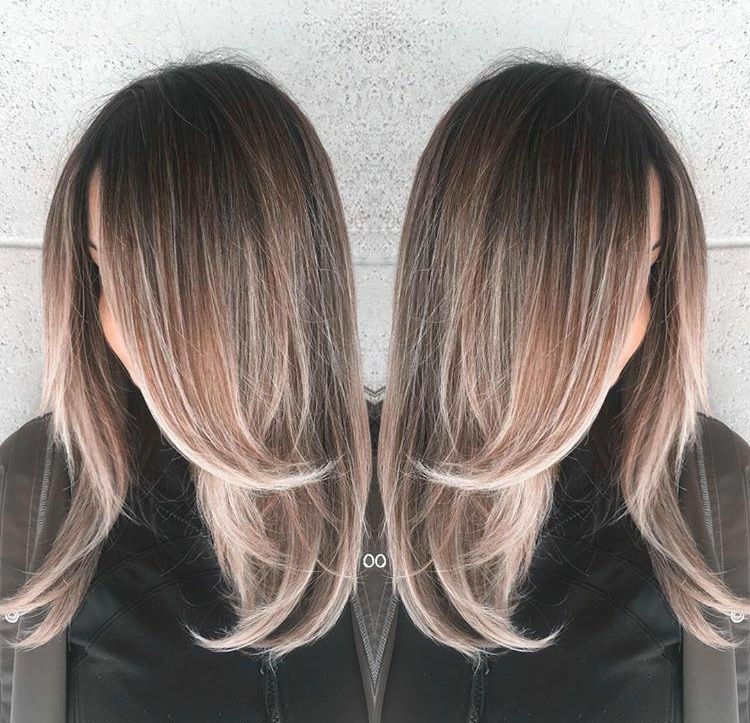 They’ve been at their Silverlake location for over ten years and have an expert staff that will help you create the personalized, beautiful look you want for your hair. They offer many treatments, styles, and services for men and women. Whether you noticed them while visiting NYC for fashion week, or simply realized that all of your neighbors have been wearing them, you’ve probably recently come to the realization that topknots are in; and for good reason! Works of Art Hair Salon in Silver Lake took the time to explain from start to finish, the easiest way to get this fascinating runway look. With a scorching LA summer quickly approaching, gals with long tresses know that having long hair get really annoying, really quickly. No matter how many hours we spend fixing, spraying and tying our hair, within minutes of walking out the door our beautifully manicured coif turns our curly hair straight and our straight hair curly. So, what better way to end your summer time hair blues with a quick fashion top knot?! Topknot buns are everywhere from the streets of Silverlake to the runways in Milan and are extremely excited to finally have a polished and interesting summer hair fad that can be achieved in just a few quick steps. Works of art pros found that this up do is unbelievably easy to create and can be accomplished with almost any length hair, clean or dirty. Simply put, it’s the perfect hairstyle for your worst hair day. Summertime Top Knot Style in 5 Easy Steps! Prep: First, you’re going to want to start by brushing your hair to remove any tangles and inconsistencies. For those of you whom have curly or particularly unruly hair, you can pretty much skip this step entirely. Next, place your hair in a high ponytail. Stress on phrase “high ponytail.” Yes, this may feel a bit awkward initially as you’re not accustomed to having the entire weight of your hair sitting directly on top of your head, but that’s the nature of the beast and it really doesn’t take that long to get used to. Anyways, once you’ve completely a highly placed slicked back ponytail, take the entirety of your ponytail and tease it. The extent to which you’re going to want to tease your ponytail depends entirely on your hair type, and will be easier to determine after a couple of tries. Take your teased ponytail and gently wrap it around the base of your ponytail. We suggest using a couple of mirrors and re-wrapping your ponytail until you’re satisfied with your knots appearance. Once you’ve successfully wrapped your knot, rearrange its exterior to cover any holes in the knots appearance. Place a bobby pin or two around the ends of you hair to secure your knot. If you feel that your hair is particularly difficult to hold in place, we suggest spraying just a bit of hairspray in your teased ponytail BEFORE you wrap it into a top-not for extra hold. Hairspray the exterior of your topknot for long lasting hold. Voila, you’re runway ready! For more information about Works of art, or for media and service inquiries call (323) 667-0072. With new and exciting hair trends popping up just about everywhere this summer, Works of Art Hair Salon is proud to announce the launch of our newly responsive mobile website. Fully integrated to make our salon’s full menu of services available to clients to matter where they are, our new mobile responsive website is able to accommodate users on cellphones and tablets of any brand or size. Take the time to browse our gallery for inspiration, check out our beautifully sunny and open, New York Style loft salon or hit up our trending blog up stay in touch with this season new hair trends, all on our newly responsive mobile website. Stay In Touch With Hair Trends with our Tips and Tricks Blog! Join us from your mobile device as we dive into the “how-tos” of new and exciting hairstyles and to learn our behind the scenes tips and tricks as to how to make your hair look its best a year long. Or, find the stylist that’s most in tune with your style at our revamped “stylists” page that profiles each of our stylists in detail to make your decision a snap! While we definitely realize that we’re living in an Internet age in which business is consistently completed via email, we take pride of the fact that we offer personal service and have therefore decided to continue booking appointments by phone. Don’t hesitate to call Works of Art Hair Salon for your next appointment; we welcome return and new clients with open arms! If you have additional questions about Works of Art Hair Salon, or would simply like to contact our receptionist in order to schedule your next appointment, don’t hesitate to call us today, we look forward to helping you find a professional Works of Art Hair Salon Stylist that you can trust and return to time and time again! Call us at 323.667.0072.